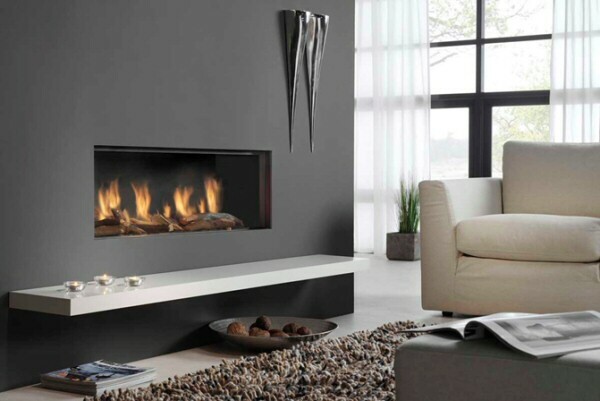 Burley have recently unveiled another high-quality flueless gas fire, adding to their existing range of popular flueless models such as the Ambience, Environ and Acumen. 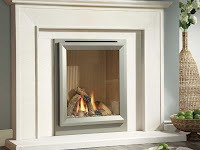 The new flueless gas fire has been unveiled as the Burley Fires Perception Catalytic Flueless Gas Fire, this new model adds even more choice for the unlucky few without a chimney or flue. 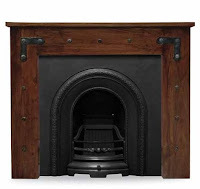 The Perception features a solid cast iron front, giving a feel of quality that can sometimes be lacking on other inset fires using a slightly flimsy trim on the exterior. The Perception follows in the line of quality Burley products, with the company going from strength to strength since starting in 1975 and now sells it's products all over the world! The contemporary design of this fire is available in Black, Brass and Silver to suite most interior design, the contemporary fret also breaks tradition from the very conventional frets found on many other fires and offers smooth curves that soften the appearance of the fire and help the fire fit in with its surroundings. 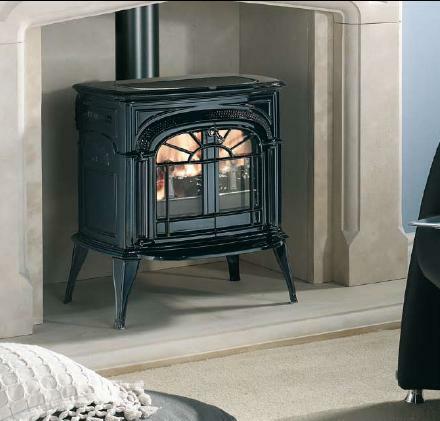 Available in both manual and remote control options this Burley fire boasts 100% efficiency and a 2.5kW heat output, making it an ideal compliment to existing heating systems. 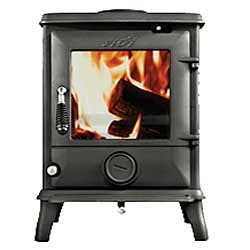 The fire also boasts the added flexibility of being able to be both inset and outset using the additional spacer, also available is the cavity wall box for when the fire is inset, this helps keep all the heat from the fire in the room instead of letting some of the heat rise up inside the brick cavity and possibly cause damage to the internal structures. As this Burley flueless gas fire does not rely on a chimney, it provides an unsurpassed level of safety to which a conventionally flued fire could only dream of! 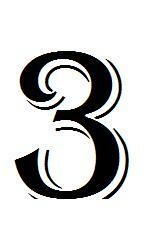 Flues and chimneys can become blocked or badly affected affected by down-draughts. 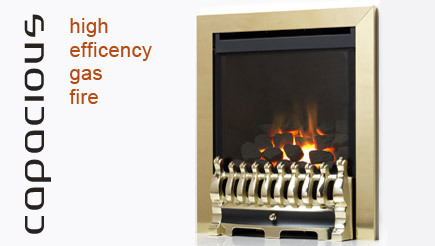 Burley flueless gas fires are designed to burn the gas extremely cleanly without a flue. The burnt gases are then passed through a catalytic converter, very similar to the one of the average car! Every Burley flueless gas fire has an oxygen depletion sensor which constantly monitors the air quality in the room. 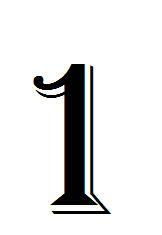 If the level of oxygen drops by just 1.5%, the fire automatically shuts down. Burley’s production method is unique. Every flueless gas fire ever made by Burley has been test run for 30 minutes, during which numerous combustion and safety tests. With large amounts of snow falling in Scotland and Northern England at the moment, the feeling of walking into warm house to escape from the cold and snow outside is only going to become even more desirable. During the Winter months it becomes more important that a fire is not just decorative, but also has a significant heat output to provide that desired heat in the room. Stoves and larger gas fires provide that perfect glow and ambience, filling the room with warmth and that stereotypical, picture-postcard christmas living room scene. Filled with that lovely warm glow, with the christmas tree lit up in the corner and snow falling just outside the window. 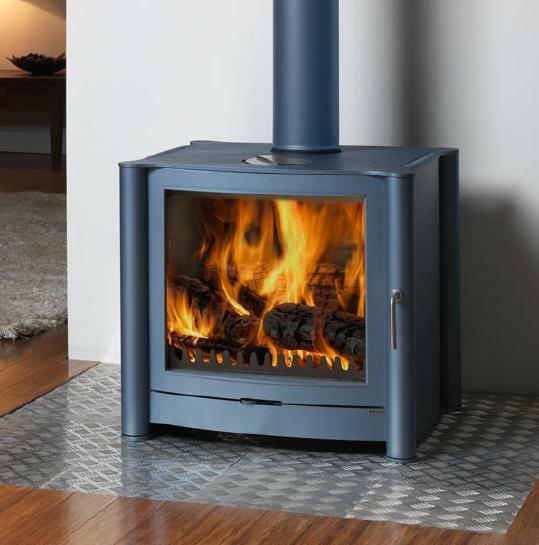 With the large viewing window and substantial heat output, the Firebelly FB3 is perfect for such an occasion. 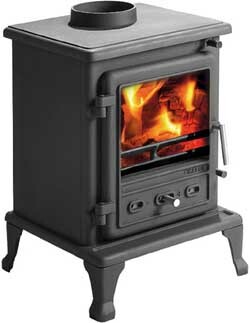 The Firebelly FB3 is hand-built with high-quality materials and is available in a range of different colours, the days when a stove was a small black cast iron box sat in the corner and offering limited, at best views of the glowing fire inside are gone. The Firebelly FB3 offers unparalelled views of the fire within thanks to the extremely large viewing window and effective air wash system that keeps the window clear of smoke. 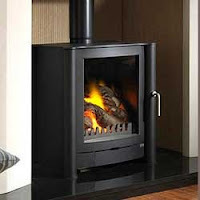 At 18kW of heat output then this stove provides more than enough heat for even the biggest rooms. With modern contemporary styling and available in 18 different colours, this stove should fit in with most styles of decor and become the focal piece when a fire is going. Also available in a double sided versions to take pride of place in the centre of a room of possibly built into a false wall or room divider for added impact. For a more traditional appearance then perhaps the Vermont Castings Intrepid II Multifuel or woodburning stoves. "The World's Finest Cast Iron Stoves" combine a traditional and time tested appearance with state of the art technology such as a catalytic conbustion chamber which ignites any unburnt products of combustion and increases the efficiency and heat output of the stove. The Intrepid II also makes use of Infra-Red Reflection technology and an air-wash to make sure that the windows stay as clear as possible to give the best view of the fire within. Available in matt black as standard or also available in biscuit, bordeaux or black enamel finishes to create that extra level or style and design. While the Intrepid II only gives out 7kW of heat, this high level is certainly enough to heat most sized living spaces. The traditional styling adds to the rustic charm of the Intrepid stove and the time-tested design almost ensures durability and would be perfect to warm the living room on a cold snowy evening or weekend. Verine Eden HE Hole in the Wall Fire. The Verine Eden is a high efficiency hole in the wall gas fire like no other that sets the bench mark for others to follow. 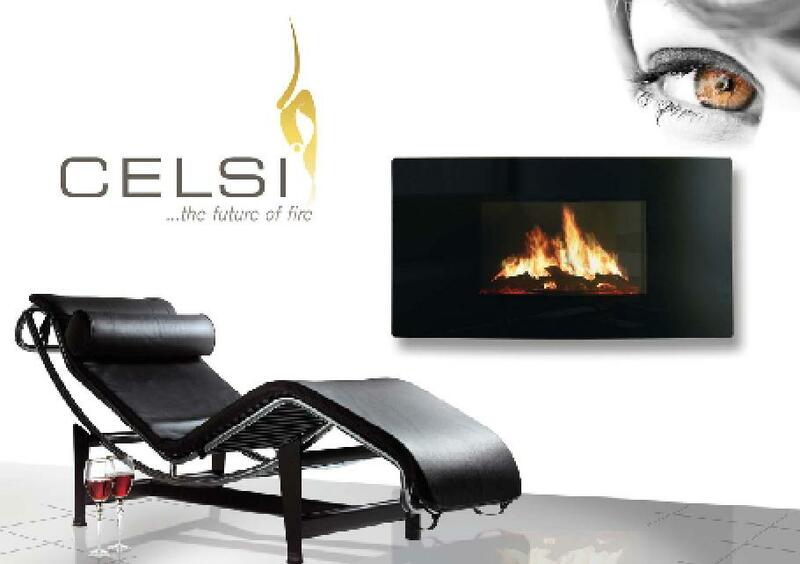 Hole in the wall fires are contemporary modern in the sense that they have elegance and designer appeal, however many fall short in delivering realistic fuel bed effect and elegant flame effect, well the Verine Eden delivers and then some. Verine have created an unrivaled flame effect on the Eden that enhances the contemporary white stone fuel bed as well as a homely style with the realistic chunky log fuel bed effect whether you opt for the liquid propane gas version or the natural mains gas option. Hole in the Wall gas fires of this type often do not have a measurable output or efficiency rating and are seen as purely decorative, but the Verine Eden excels once more to the point where it is classed as a high efficiency gas fire and boasts an impressive 83% net efficiency and up to a stonking 5.3kW maximum heat output. The aesthetics of this fire are a major appeal and the fire has been designed to be minimalistic with high attention to detail, however the Verine Eden can have a deluxe designer mirrored frame which highlights the quality of this high end fire. Safety features on the Eden include the flame supervision device and the oxygen depletion sensor. 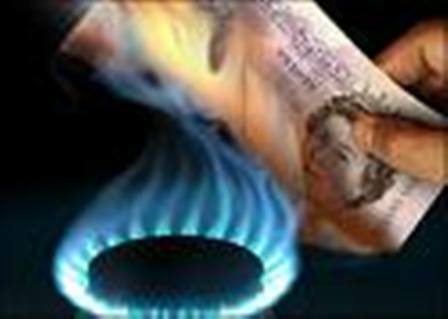 These additions give you piece of mind knowing the gas supply will be interrupted if one of these features are activated. The Verine Eden emits both radiant and convected heat and can be viewed and purchased only from reputable retailers with showrooms and highly trained professional colleagues willing to assist you in selecting the right fire for your needs.Verine Eden HE Hole in the Wall Fire. Gel fires are quite new in the UK, we have tested a few of them. They are nice products with a big flame however we all feel they are more suited to outdoor useages, the reason being is the ethanol can create a slight odor when burning. Its not that noticiable but depends how sesitive your nose is. Secondly it is a bit messing around to fill it up everytime you wan’t to use it. The maximum the tank will last for is around 2.5 hours. As far as cost wise, Ethanol is cheaper however, it is more expensive to package and transport while LPG has the benefit of econmies of scale selling thousands of tanks a day. In the end an gel fire will be 100% efficient, so all fuel turns into heat, while there are high efficinent LPG models out there it will not be 100% unless your going flueless catalytic. I’d say the amount that would be saved by using a gel fire would certainly be taken in time spent filling it up and disposing of the bottles. Gas fires can be complicated items, however if you know how they work then they are actually quite simple. There are many signs which can indicate an issue, the major one is smell, as you can't really see gas! 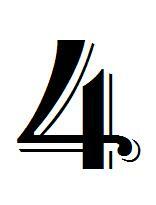 In the UK most gas pipelines have a 'odor' injected to make them easier to notice. If you fire is giving off a smell the first thing that is suggested is you switch off all gas supplies and open the windows. This is purely cautionary to make sure if there is a fault with the fire or flue that CO is not going to cause a death. All sounding very scary now isn't it. Firstly CO (Carbon Monoxide) doesn't have an odor, you cannot smell or sense it in any way. However Carbon monoxide does burn, so if the fire is in good working order and you have conformed with regulations having an installer service the appliance every year it is highly unlikely that this will be the odor. It is advisable to have a CO detector in the room, which you can easily see as they change colour if they detect the chemical. Every gas (and even electric) fire will smell during the first few hours of combustion, this is because the flame burn other chemicals which are situated on the internal parts of the burner. Just the small bit of heat on the frame will also evaporate the oils that are used to lubricate the metals as they're being cut. This is normal and nothing to worry about, its like the smell you have on a new carpet or clothes. As I write this post it is only 58 days, 14 hours and 22 minutes until the Sales tax is rising by 2.5 percentage points to 20% starting on 4 January, 2011, as part of the coalition government’s plans to reduce the UK budget deficit. Although this may not sound much that 2.5% could have a very big impact on the price of the fireplace you are looking to purchase. 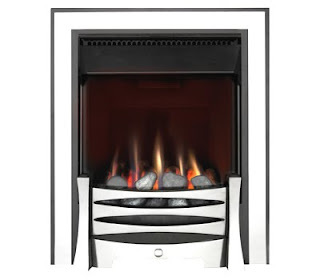 For example the Drugasar Metro 100XT Balanced Flue Gas Fire, one of the most popular Hole-In-The-Wall style gas fires, producing 6.3kW of heat energy at up to 70% efficiency, this high quality and stunningly contemporary gas fire would go up in price by over £50! this quite sharp price increase could take away money that could take this amazing fire over your budget! The Drugasar Metro 100XT would go in price by over £50! 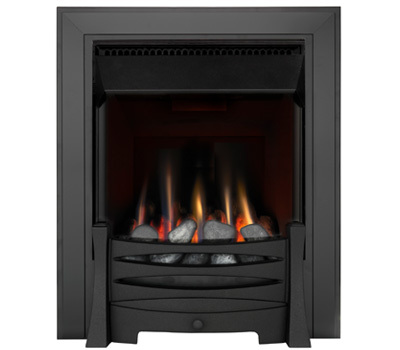 Electric fires arent exempt from the VAT rise either with the Apex Intense Hang-On-The-Wall electric fire with a stunning flame effect and high-quality black granite fascia would go up in price by over £30. This raise is price is equal in cost to running the 2kW silent heater on high constantly for over 250 hours! That means that buying the fire before Christmas without the extra 2.5% VAT would save you enough money to have the fire on the low 1kW heat setting from the 22nd of December, all the way through the festive season until the 5th of January! Or, phrasing it another way, that £30 saving would run the flame effect constantly for 5 years! Buy now and save enough money to run the heater on low for 3 weeks! 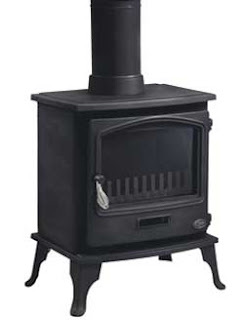 Purchasing a multi-fuel stove before the 2.5% increase would certainly make sense, with that extra 2.5% working out at being nearly nearly £30 on the Vermont Castings Intrepid III multi-fuel stove, that £30 would go a long was towards getting the stove installed, or pay for that first load of fuel to store for the festive season, there is nothing better than sitting in front of a cracking log stove when it is cold and dark outside! So if you're thinking about purchasing a gas or electric fire or stove, it would certainly be worth while and purchase before Christmas to save that extra 2.5%, it's amazing how far that 2.5% can take you. Bemodern Fires have recently unveiled their latest range of inset electric fires. 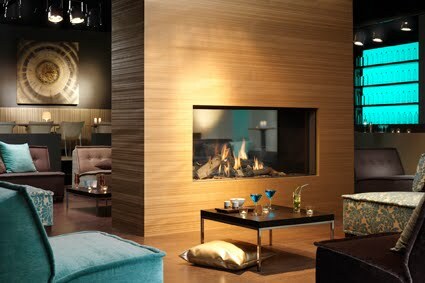 These fires incorporate the unique and very interesting LED flame effect that has been utilised on the Bemodern Orlando and Arizona hang on the wall electric fire. See the flame effect here. This highly original flame effect, in my opinion, is a vast improvement over almost any flame effect on the market, it is eyecatching and almost has a level of unpredictability that just isnt possible with a normal ribbon flame effect. The Bemodern range of LED inset fires uses the styling and high quality finish on existing Bemodern inset fires such as the Bemodern Savannah or the Abbey inset electric fire. All the LED inset electric fires from Bemodern feature a quiet fan heater with a maximum heat output of 2kW that will quickly take the cold edge off of most living spaces. While the LED flame effect creates a great image while being incredibly low-cost to run, with the high-quality LED's that could run for up to 100,000 hours before needing to be replaced. So if you had the LED flame effect on for 8 hours a day, 7 days a week and 365 days a year then it would be almost 24 years before you would need to replace the fire! The Bemodern Abbey takes this innovative flame effect and combines it with the traditionally styled Cast-Iron Effect Arches that would help this fire blend well with any traditionally styled decor. The Abbey also features a thermostat to maintain that comfortable temperature, and help make life that extra little bit easier. The Bemodern Enrico LED Electric fire is another popular inset electric with a very popular and contemporary brushed steel finish. 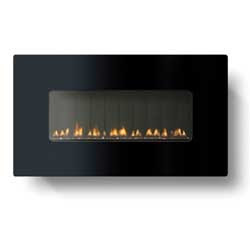 The Enrico features a very realistic coal fuel bed that works brilliantly with the LED flame effect. Both versions of the fire are displayed below, as you can see the standard Enrico on the right uses the very conventional and standard ribbon flame effect, whereas the LED version on the left provides a far more realistic flame image, moving away from the smooth edges of the ribbons that detract from the flame image and moving towards the unpredictable and almost random edges provided by the LED flame effect. The upward movement of the LED flame effect also adds life to the flame effect and makes it even more realistic. 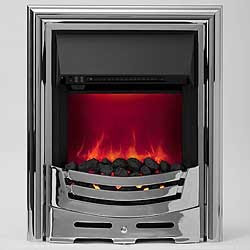 The Bemodern Camberly is another inset electric fire that has been rejuvinated with the inclusion of the LED flame effect is the Camberley, this fire uses the traditional buttress style fret, available in black, chrome or brass. The polished brass finish looks very bright and highly impressive, combining the latest LED flame image with a bright and impressive traditionally styled inset electric fire. Whereas the Camberley inset electric with the ribbon fuel effect unfortunately doesnt quite have the same sort of presence, this is probably due the the new deep level trim employed on the Camberley that gives the fire more stature on the hearth and also adds to the feel of a real fire rather than a slimline electric. The Bemodern LED flame effect is an innovative flame effect and is available across a wide range of Bemodern inset electric fires as well as the highly desirable Orlando, Arizona and Quattro hang on the wall electric fires with more fires almost certainly in development! 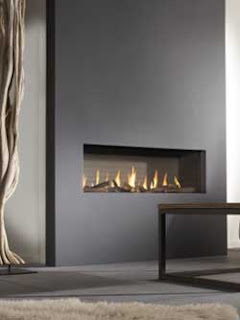 The Ultimate balanced flue and design statement is the Drugasar Cosmo Balanced Flue Gas Fire. The Cosmo features a huge and realistic log fuel effect and looks stunning with the natural profile interior to really give the feel of a real log fire. 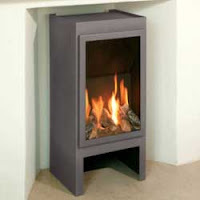 The Cosmo is available in either a tunnel or single sided versions and features the Drugasar balanced flue system that allows the fire to be situated almost anywhere in the property, rather than just on an external wall, as is the case with most other balanced flue fires, Available as standard as a frameless fire with no exterior trim the Cosmo gives the ultimate hole in the wall, minimalist look and feel or when used in conjunction with the Murano surround creates an ultra-contemporary focal point for any space. Featuring the renowned DRU Vario-Burner System that creates a stunning glow around the hearth that adds to the illusion of realism with this beautiful gas fire. The Cosmo comes as standard with remote control to allow easy control from almost anywhere in the room! 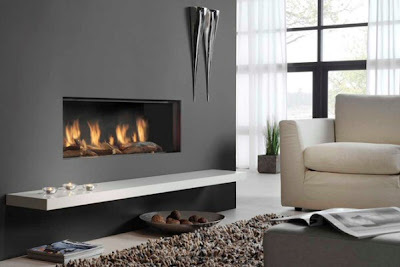 The remote also features a thermostat function that allows the fire to automatically adjust to keep the room at the desired temperature, this is perfect for keeping the fire on to generate that ambience and atmosphere that is so highly desired. Both the tunnel and single sided versions of this fire put out a whopping 14kW of heat, this is more than enough to heat even some of the larger living spaces and making the tunnel version the perfect way to break up a large open-plan living space and creating an amazing focal point, while providing enough heat energy to heat both sides. The single sided fire lookg perfect in combination with the Murano surround and natural stone hearth that takes the modern fireplace into a whole new and contemporary level and is a must for any larger contemporary living space! Aga are a household name, well known for desirable product ranges and high quality cast iron construction, they keep producing the best products available to enhance their longstanding ranges and most recently have added the Ludlow cast iron stove to the collection. The Aga Ludlow is now available as the Aga Ludlow Multifuel stove and as the Aga Ludlow Woodburning Smoke Exempt Stove, providing the perfect stove for your needs. The Aga Ludlow is a stunning example of a solid cast iron stove that generates a tremendous heat output and is suited to traditional and contemporary homes. Following the outrageous success of the Aga little Wenlock stoves, the Aga Ludlow stove has kept the desirable design appeal of the Aga range, with stylish black wired handle and similar control systems to the Wenlock. An addition to the control system is the tertiary intake air flow control that allows exceptional control of the air wash system. As well as great design, the Aga Ludlow can boast a tremendous 9.7kW maximum heat output, which is hot, hot, hot! The nominal heat output is 6.5kW and the efficiency of the Ludlow is 76%. The Ludlow can also be fueled up and left to burn all night, resulting in a lovely toasty warm room in the morning. As well as the impressive design appeal and even more impressive high heat output and easy, effective controls, the Aga Ludlow includes a removable shaker grate, fire fence, ash pan and front ash tray. The Aga Ludlow is designed to be used with a class 1 chimney and has a 5inch diameter top flue and is sure to be a product destined for great popularity, so get hold of yours while the stocks last (or wait for the next batch to be made!!). A recently published report from the Office for National Statistics, 40% of people admit that they have not taken any action to reduce the use of energy in the home. The National EPC Company also claim that many are still turning the other cheek when it comes to doing their part in the effort to stop climate change. I myself can admit to being guilty of this, I leave lights on when i've left the room and leave my TV on standby almost constantly! The National EPC Company was established in 2007 and currently supplies more that 85,000 Energy Performance Certificates (shown right) each year. The National EPC Company claim that 40% of the UK's carbon dioxide emissions result from choices people make as individuals, with the majority of carbon dioxide coming from the home. 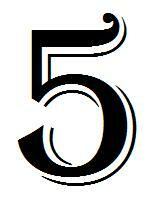 It adds that the Office For National Statistics (ONS) report revealed that 56% of domestic energy is used for space. 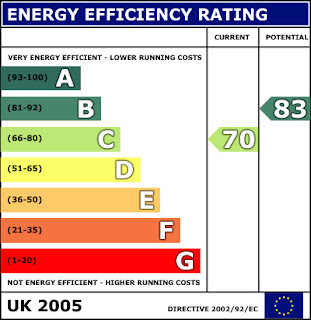 The Energy Saving Trust has estimated that the average property owner could save up to and over £300 annually on fuel bills by carrying out some of the basic recommendations outlined in the Energy Performance Certificate which shows how efficient a property is, as a building, it is then provided with an A to G rating depending on perfomance. An example of which can be found here. Even simple measures such as wall insulation, draught excluders and double glazing can create huge reductions in the amount of energy used, the CO2 emissions and, more often than not the most important factor, Money. As the colder seasons draw closer and more and more people turn on their central heating and crowd aruond the open gas fire for heat, there is another appliance that can be made more efficient and also provide more heat into the room. By replacing an old, inefficient open gas fire with a high efficiency gas fire then you can prevent the loss of most of the heat up the chimney and also reduce some of the problems of drafts that an open fire can create. Fires such as the Flavel Caress HE gas fire provide the perfect solution to replacing an aging and in-efficient gas fire, This fire is ideal for a more traditional setting with the cast trim and the traditionl polished and black fret, but don't be fooled by the traditional appearance, this fire uses high-quality and modern technology to provide a 4kW maximum heat output and a very impressive 89% efficiency rating, effectively doubling the efficiency of a normal open fronted gas fire, while retaining the traditional look and feel. For a more modern approach then something like the Verine Meridian would certainly be the way to go, this modern and contemporary gas fire does away with the traditional trim and fret combination, affording a large viewing window and uniterrupt ed views of the realistic log fuel effect and dancing flame effect. 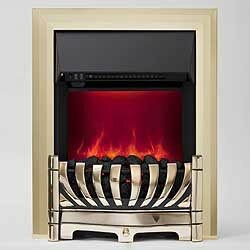 This modern fire boasts up to 87% efficiency with will pump out 4kW of heat energy and with the bronze & champagne or all champagne finishes create a very distinctive and european feel to this fire and features the choice of either black, brick or cream firebacks to suit with almost any interior styling. 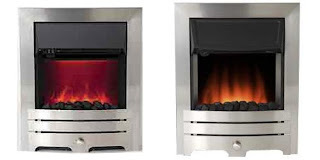 These are just a couple of the High Efficiency gas fires that available from places such as Fireplace Megastore or Fireworld, they are available in almost any style or size from Hole In The Wall style to gas fire to highly efficient gas stoves. 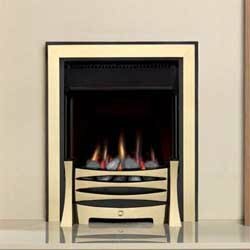 Be Modern have just updated their collection of fireplace surrounds and have brought new finishes to existing products as well as brand new products to their range. As seen opposite the Beatrice fire surround is now available in natural black granite as well as natural white marble and the Sahara micro-marble finishes and comes with matching back panel and hearth to the corresponding mantle surround finish. Another new granite fireplace surround is the Roberto surround. 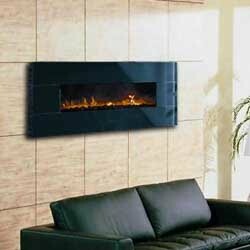 The Roberto has a 54inch shelf width and 65mm rebate and comes with matching back panel and hearth. 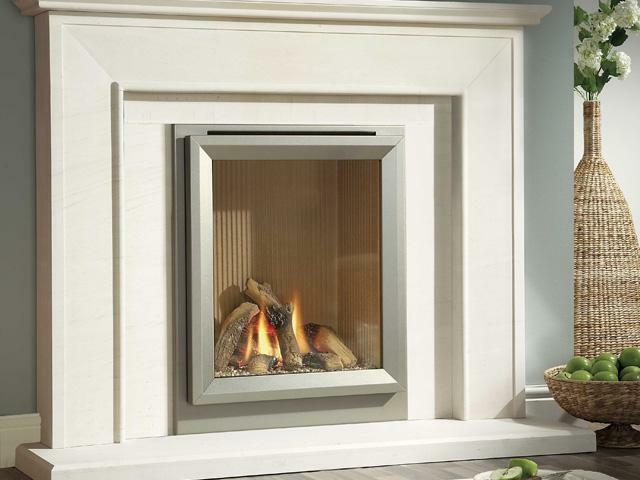 Also new to the range is the Paloma fireplace surround which has a c hoice of either manila or white micro-marble finish with matching back panel and hearth. As with all micro-marble products they are not recommended to be used with a fire that is solid or multi fuel. This is because the high temperatures that can be attained by these fires may effect the surround, back panel or hearth (usually discolouring, but with the possibility of melting the resin in the micro-marble). 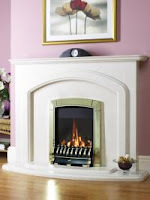 The Carmela 50 inch surround is another micro-marble set that comes with surround, back panel and hearth. The Carmela is in a manila finish and has the option to have downlights fitted if desired. This option is only available with a 25mm rebate but a 75mm rebate is available (without downlights). The Lucien surround is the final of the new be modern products to be unveiled. 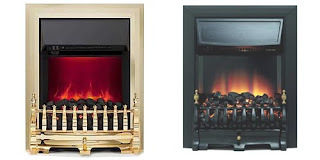 The Lucien comes in a choice of 3 finishes that include a white micro-marble set including matching hearth and back panel, a pearl stone version and uniquely a white micro-marble surround with natural black granite back back panel and hearth that creates quite a stylish contrasting look. All of the new be modern fire surround sets include mantle surround, back panels and hearths and they have been designed to work with most standard sized gas and electric fires. Get the latest look, with contemporary design and modern finishes from one of the leading manufacturers be modern. Acquisitions X-Fire Widescreen Catalytic Flueless Gas Fire is a glass fronted catalytic flueless gas fire available from Acquisitions and is the answer to anyone looking for a hang on the wall gas fire in their living space, but without the luxury of a chimney or an external wall. The X-Fire uses state of the art catalytic converter technology to convert the harmful exhaust gases into Carbon Dioxide and Water Vapour. This means that providing the room has a volume of at least 40m3 and some sort of ventilation of at least 100cm2 then this fire can be situated in almost any room of the household. 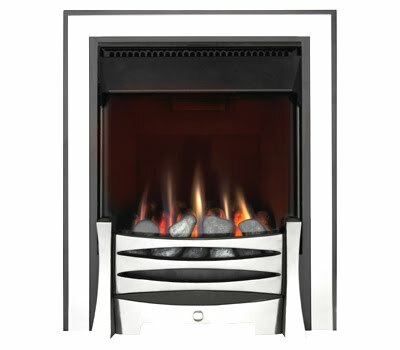 The 3.5kW of heat output and 100% efficiency mean that no energy is wasted when heating the room, meaning the temperature of the room is raised higher and quicker than with a conventional sub-50% open gas fire or even a 2kW FAN-ASSISTED electric heater, with a 3.5kW gas fire able to raise the temperature in a room a noticable 5*C in under 20 minutes, this temperature increase would be difficult to achieve with any other type of fire, with a 6kW conventionally flued fire taking up to an hour to raise the temperature by the same amount. The Acquisitions X-Fire Widescreen is available in Limestone, Granite or a Mirrored finish, (An X-Fire with the Granite finish is currently on display and fully working at The Fireplace Megastore Showroom. 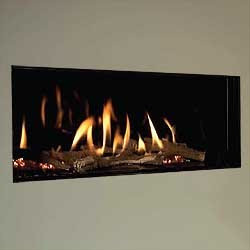 The Black Granite finish combines with the black back to really draw attention to the bright orange flames of the fire, and using Acquisitions unique RX3 Reflexion Flame that makes the flame effect and firebox appear deeper than they really are, reducing weight and allowing the freedom to hang the fire on almost any wall. The individuality of the natural granite or limestone means no X-fire is ever the same, with the natural limestone prone to fossils and natural inclusions from the stone being formed over millions of years! 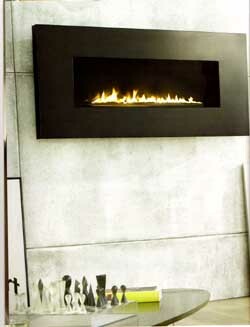 The rich dark depth of the natural granite and RX3 RefleXion Flame create a very deep and contemporary fireplace while the uniqueness of the limestone and the fact that it is literally a one of a kind fire make this fire a must in any contemporary living space. The Drugasar Global 100BF is another stylish addition to the Drugasar range of balanced flue gas fires, designed primarily for homes without the luxury of a chimney, The Global 100 boasts a viewing window 950mm across and 350mm high to create that ultra-fashionable letterbox look. The Global 100 is available on both natural gas and LPG with a high efficiency rating of 73%, developing a massive output of 6.5kW, more than enough to heat even the more spacious of living spaces. 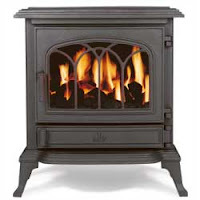 The rustic and realistic log fuel effect of the Global 100 really recreates the feeling of sitting in front of a traditional wood fire, especially when the log fuel effect starts to glow in the flames, this can be highlighted when combined with the black interior or for a more traditional and slightly more cosy feel then go for the natural profile interior. If you're looking for the fire to provide that quick burst of heat then the Dru MaxVent system can be purchased with the fire to provide that extra burst of heat. 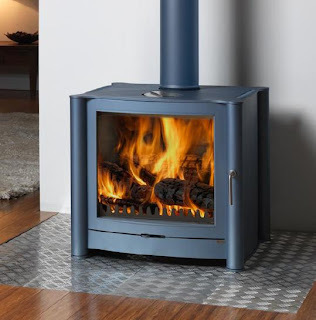 As soon as the fire has reached the desired temperature, the fan switches on automatically, basically accellerating the natural heat convection around the fire. The MaxVent system draws cold air in around the base of the fire and blows it around the outside of the firebox, warming it in the process, this warm air is then blown out of the top of the fire, providing up to 25% extra heated air that helps quickly take that cold edge off a room. The Drugasar Global 100 is available in very contemporary and minimalist frameless version that provides a seamless finish between the wall and the fire, or can be purchased with the Alpha, a classic narrow frame that defines the edges of fire while not detracting from the appearance of the fire in the centre. Or for a more bold a statement then the Beta trim would be the way to go, this trim really gives the fire definition and grabs the attention of anyone in the room, while contrasting the glow of the flames inside. The minimalist or classic black frames work well with almost any style of interior decor, complimenting and harmonising with more contemporary interiors or contrasting and creating a focal point when used in a slightly more traditionally furnished household.